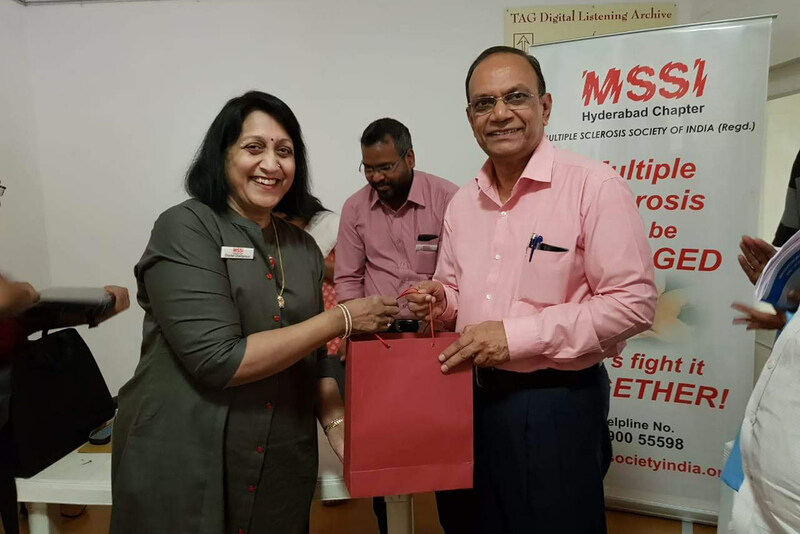 MSSI – Chennai Chapter “Face to Face” Programme was a Diwali Celebration on 27-10-2018. It started with the Meditation session of MS Persons and Care Givers by Dr. R.J. Kalpana , Trainer from “Institute of Heartfulness”. It was a 30 minute follow up session after the inaugural session on 11-08-18. Our MS Persons and their care giver enjoyed and felt relaxed at the end of the meditation session. 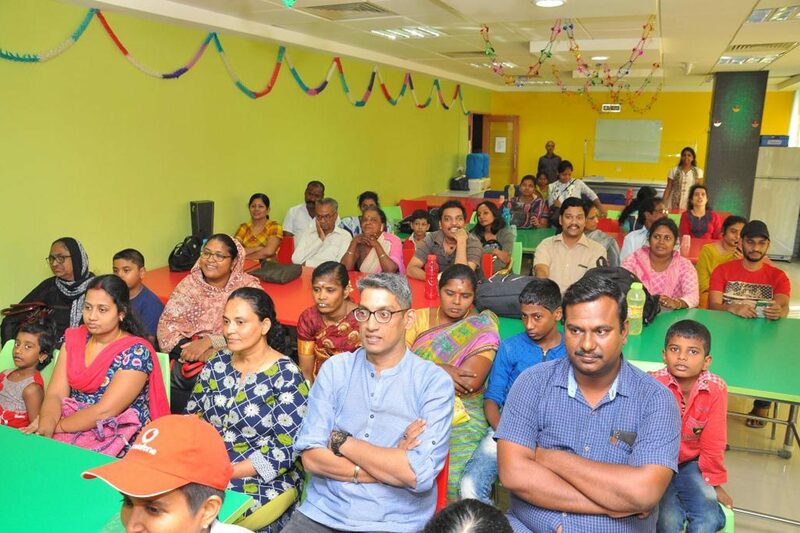 At our DIWALI CELEBRATION, our MS Persons and the caregivers were eagerly waiting to enjoy the evening. BNY Mellon Volunteers started with a game Best out of Waste. 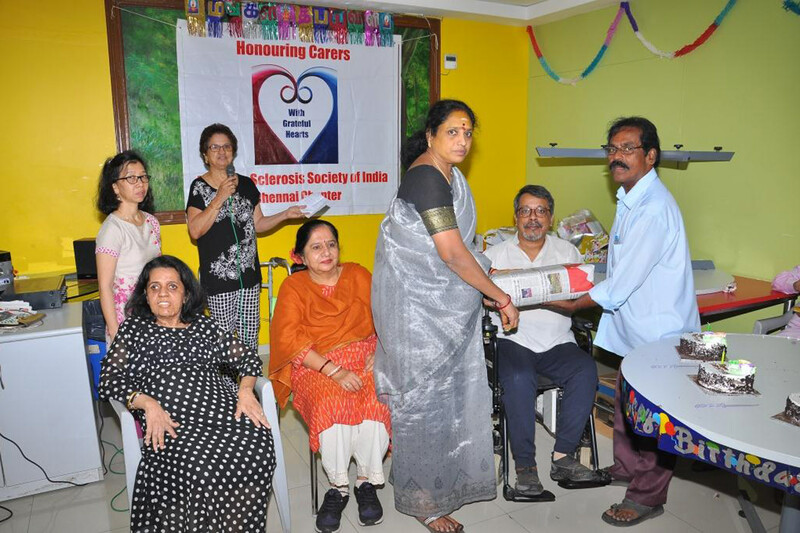 MS Persons were divided into 4 groups and were given newspapers to each individual and were asked to create things out of it and our MS Persons actively participated and expressed their own creativity in this game. One of the BNY Mellon volunteers started to give a karaoke performance and then slowly our MS Persons and caregivers came forward and sang, all of them enjoyed by cheering each other. 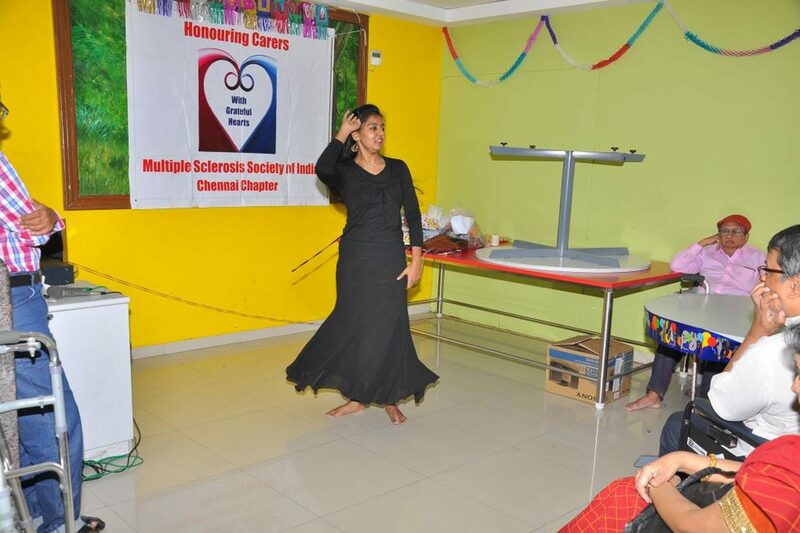 Another BNY Mellon volunteer Santhoshini came forward and entertained our MS Persons with her energetic dance performance. After this BNY Mellon volunteers started with Housie game and the gifts were distributed to the winners. A birthday cake was cut by those who celebrated their birthday this month. 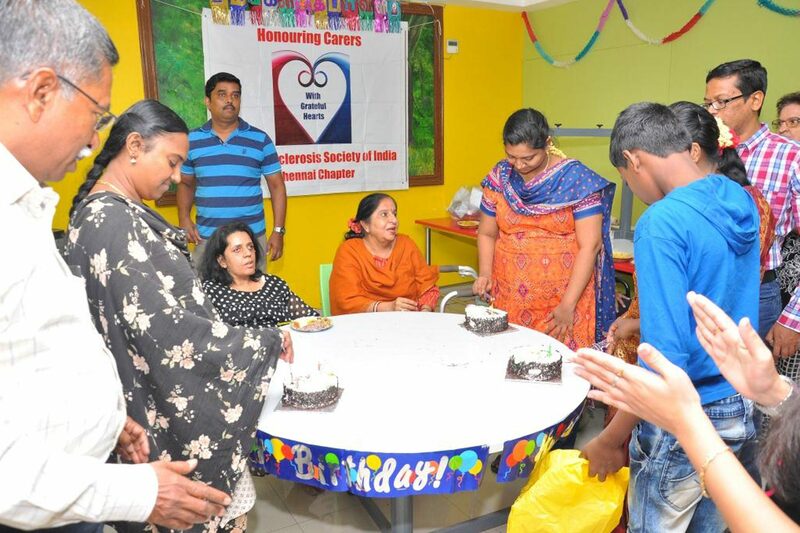 They are– Mrs. Kalaivani, Mrs. Parveen and Mrs. P. Mahalashmi, to the singing of happy birthday by everyone. The meeting ended with a high tea. The evening came to a happy ending with MS person, by distributing Diwali gifts to each family and wishing them Happy Diwali.